The Finnish Museum of Natural History LUOMUS and the co-organisers warmly welcome you to Helsinki, Finland, in August 2016 to participate in the 8th IAL Symposium Lichens in Deep Time. Finland has a long tradition in lichenological research, much centered around the world famous lichen collection in Helsinki. Today, we have an active group of lichenologists, who play a solid role in the international lichenological community. Finland offers a number of fascinating contrasts. Finland’s unspoilt forests and thousands of lakes and islands provide plenty of opportunities for visitors to enjoy beautiful natural surroundings. Lichens are prominent and very visible in Finnish nature. The islands of the archipelago are covered by an array of crusts. 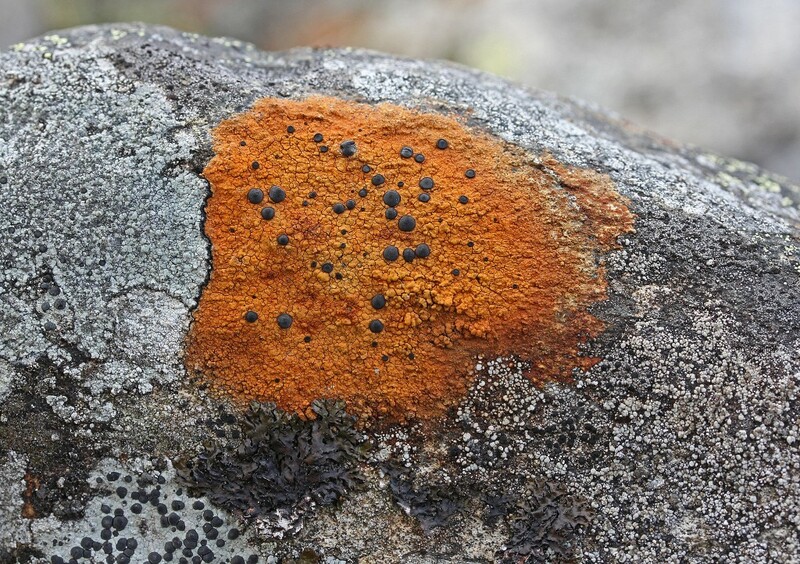 Rock outcrops in the forests are carpeted with luxurious fruticose lichens. The barren wilderness in the north offers yet another landscape with its characteristic lichens species. We are eager to meet you all in Finland and to show you some of our beautiful country. We hope we can help to make your visit a stimulating and memorable one. Porpidia flavicunda is fairly common in northern Finland (photo H. Eskelinen).